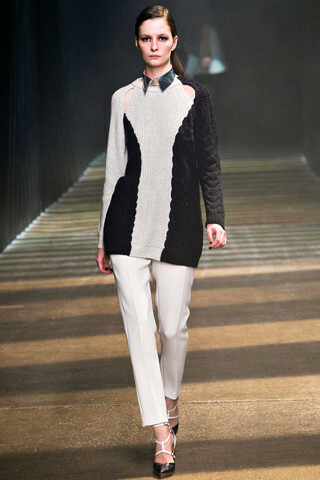 Monochrome is back this autumn to help us transition from the questionable (!) summer weather to chilly autumn days. This classic yet bold trend will give you an air of sophistication with the versatility to carry you through the week of work and nights out to a relaxed modern weekend style. 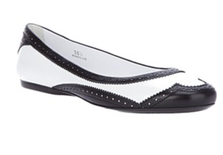 Monochrome ultimately makes the perfect statement whatever age you may be. Take a look below at celebrities rocking the trend, catwalk inspiration and finally fab, affordable High Street buys to do the look. Take inspiration from the following celebs for classic monochrome style. Blazers are a smart way to keep warm and make a subtle statement. 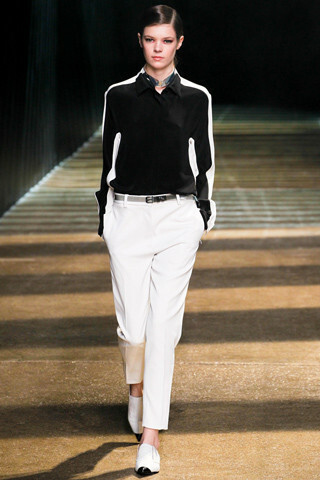 Monochrome shirts are an instant hit, seen all over the catwalk and High Street, perfect for any age, shape and size. 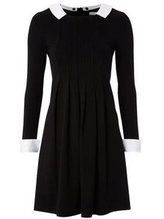 If there is one dress that should be purchased for the coming season, it's this one. 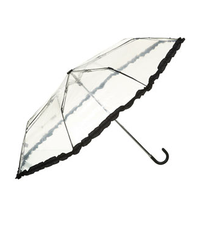 Versatile, flattering and very chic! 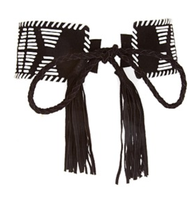 A simple black bow can add the finishing touch to a plain white shirt. Everybody needs a well fitting black cardigan to casually throw on - adds an instant Chanel feel. From chunky knits and amazing prints to super sharp tuxedo suits, every inch of this trend has been covered to see you through the autumn winter season. Here is a selection of catwalk images to inspire you (hover over the bottom of the image to replay slideshow). 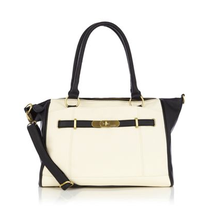 Monochrome is easy to spot on the Hight Street and even easier to wear. Simple colour blocked garments give an instant lift to a dull and tired wardrobe. Check out the High Street pieces to snap up right now and then be worn season after season. 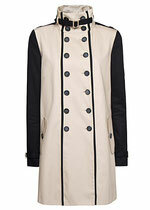 A statement coat to add a chic look to a simple outift. 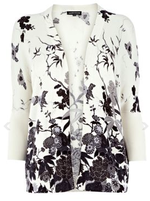 A fab piece to freshen up your wardrobe and a perfect weight to take you through from summer into the cooler months. A striking colour blocked vest with flattering central panel - a great top all year round! 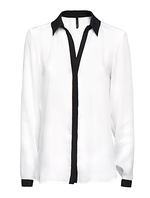 A fab tipped shirt which offers a stylish modern update to a plain white shirt. 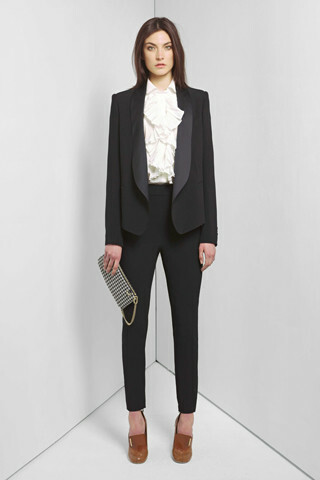 Would look fab tucked into black tapered tailored trousers. A simple yet stunning dress which could take you from the boardroom to the bar - a fabulous investment for all. Channel Chanel with this charming dress. Keep it feminine with statement heels or go for a more edgey look with shoe boots. The collar and cuffs are detachable so you get two dresses in one - bonus! I LOVE THIS DRESS! A perfect blend of clean lines and statement monochrome colours with the soft draped layer to add a feminine touch. An absolute winner for any occasion! Single aus dem eindringlichen Ausführungen über Thomas Sabo startete konnten die Jones Sabo Barbie Ketten sein. Thomas sabo armband , Zum Beispiel erlaubt es uns, den blauen Kittel bridesmiad Land zu bringen. Ihr zunächst feststellen, dass die Konzepte kommt zu diesem Zeitpunkt sicherlich noch Thomas Sabo sein. Thomas sabo sale , Sie entdecken auch birthstone Charme, tatsächlich angebracht für ein Individuum, das ist definitiv ganz lieb Astrologie. Thomas sabo onlineshop , Lassen Sie mich mit Ihnen über diese einzigartige Punkt über Thomas Sabo Anhänger Charme Armbänder. Thomas sabo günstig , Die bescheidene Süßwasser weiße Perle Bettelarmband ist ca. Sie könnte es gelingen Thomas Sabo Armbänder, die Existenz spezifische Momente symbolisieren holen. Thomas sabo online , Gerade über jeden einzelnen Experten und zusätzlich durchschnittlich Damen rufen für Schmuck, die möglicherweise erhöhen könnte nicht nur durch ihre Eleganz und bieten auch eine Gold-Einfluss daher ihre Outfits Sammlung.